The title itself foreshadows a tale spun entirely on uniqueness and the daring it takes to be different. This debut novel by author Veronica Roth follows the life of 16-year-old Tris and her friends through their adventures, trials and triumphs. From the onset of the novel, we are introduced to a society composed of factions. Each of whom base their entire foundation on a specific aspect of human nature. From bravery in the Dauntless, peace among the Amity, selflessness in the Abnegation, intelligence in the Erudite, to honesty among the Candor. The factions are seen by the characters in the novel as pillars that hold the society intact. An allusion to the fact that without these pillars, chaos would ensue. The story begins with an aptitude test that is meant to establish what faction each 16-year-old belongs. After which a ceremony is held where they each choose what faction they pledge allegiance. What the system is unprepared for, however, is someone with an affinity to more than one faction. As the story unfolds, the term divergence begins to carry greater meaning. It is soon apparent that those with divergence are seen as a threat to the society at large. The novel ends with the start of an uprising between two factions that want to overthrow the government due to false claims of mistreatment. This book greatly highlights the fact that there is no way to create the perfect human society. While one might value a certain trait over the other, it comes at the cost of another aspect of humanity. Take the Erudite for instance, their intelligence decreases their ability to be selfless in their pursuit of knowledge. It also shows how strongly people resist change of any type and how uniqueness is seen as a disease that has to be eliminated. The main message I took away is that no one should judge a book by its cover. The protagonist is one of the strongest female characters in the book, yet she is betrayed by her slight frame. I felt that although the author greatly developed her main characters she left us too much in the dark about the supporting characters. 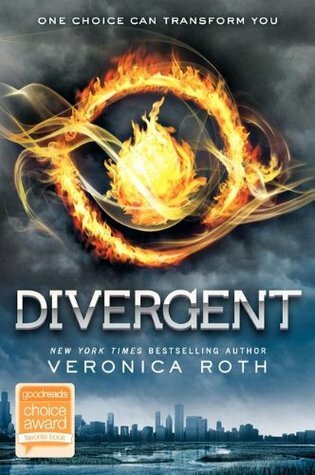 How is it that Tris discovers her mother’s divergence at the last possible minute? I would strongly recommend this novel to any one who loves YA dystopian novels with a touch of romance in them. It’s extremely well written, well thought out, keeps you hooked and forever guessing. You never fully know what will happen next and it’s definitely an adventure. It’s a great read and definitely worth the time. So buckle down and find yourself a copy of Divergent. The book, not the movie. Reblogged this on Over The Creek.